It's officially Kentucky's favorite time of the year! The Keeneland Spring Meet has been going strong, and the Kentucky Derby is right around the corner! Not only does the Kentucky Derby ignite so much excitement around the race in Louisville, but it inspires some amazing Derby themed parties all over the world! We love putting together parties - especially parties with a fun theme! 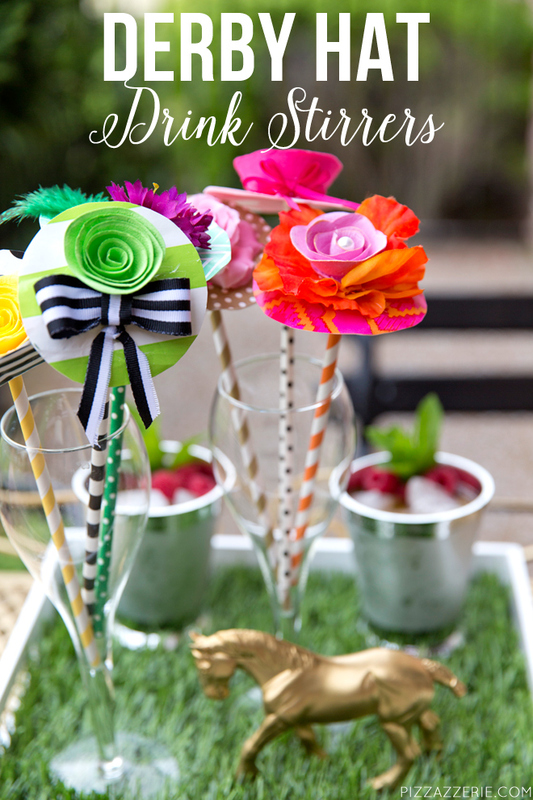 Today we're gathering some of the best ideas for a Derby themed party that anyone could throw! First up on the docket, food! Let's start off with an appetizer. 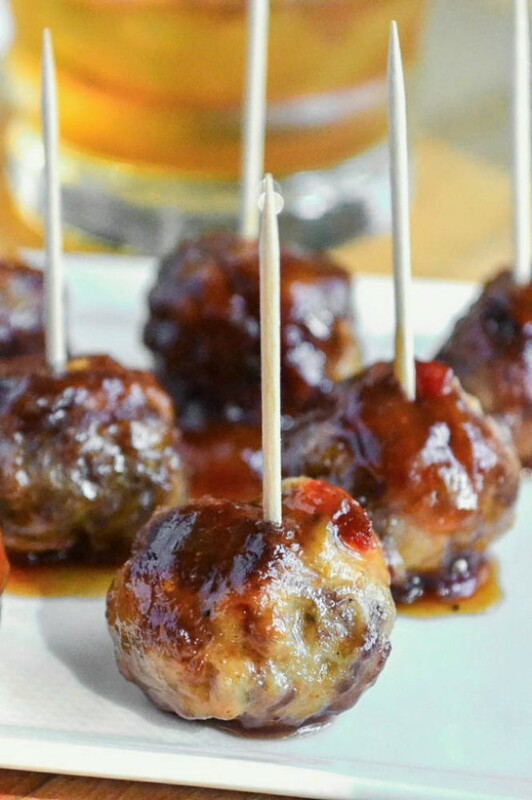 Every respectful Kentuckian loves some bourbon in their life, so what better way to use bourbon than to include it in your meatball recipe!? Put the above ingredients, except the olive oil, in a large mixing bowl, breaking up the meat as you put it in. Mix together, using the tips of your fingers to gently combine everything without compacting the meat. Form into small 1" balls, I use a small scoop to make them nice and uniform. Place cooked meatballs into the sauce, and let heat through until ready to serve. Serve on a plate with toothpicks, a drizzle of sauce, and lots of napkins. Serve a bowl of sauce on the side for extra dipping. To make the sauce, combine all the sauce ingredients in a skillet and bring to a simmer. Simmer gently for about 10 minutes until thick. Now for a main course. You can't visit Central Kentucky without trying a good ol' Kentucky Hot Brown! Spread roll bottoms with mayonnaise. 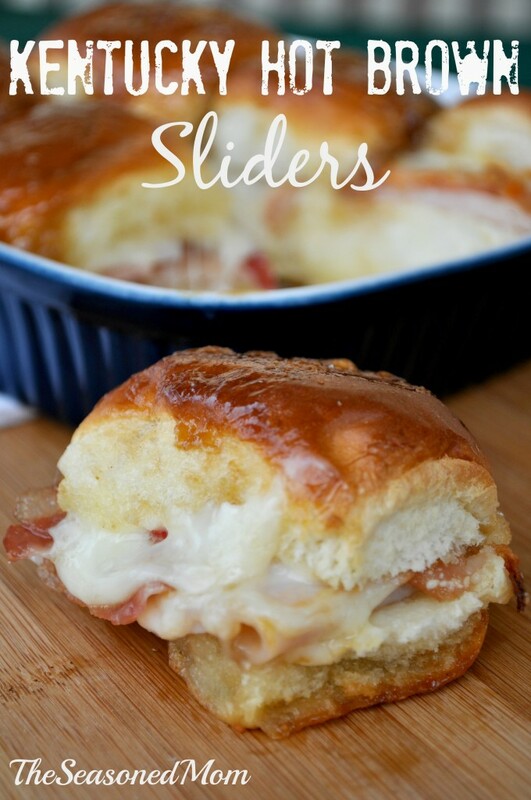 Layer with turkey, bacon, a few diced pimientos, and cheese. Replace tops. Arrange sandwiches in a single layer in a greased 9-inch-square baking pan. In a small skillet, melt butter over medium heat. Add onion; cook and stir 1-2 minutes or until tender. Whisk in the brown sugar, Worcestershire sauce, and garlic powder. Continue whisking until brown sugar is dissolved. Pour butter sauce over sandwiches. Cover with aluminum foil and refrigerate for several hours. Preheat oven to 350 degrees F. Bake, covered, 25 minutes. Remove foil and bake uncovered for an additional 5 minutes or until golden brown. And finally, what's a party without an adult beverage or two? In a small saucepan, combine 1/4 cup of water, sugar and 1 tablespoon of chopped mint. Stir and bring to a boil. Cook until sugar has dissolved, then remove from heat and set aside to cool. After about an hour, strain out mint leaves. Serve immediately over crushed ice and top with a splash of the sugar syrup. 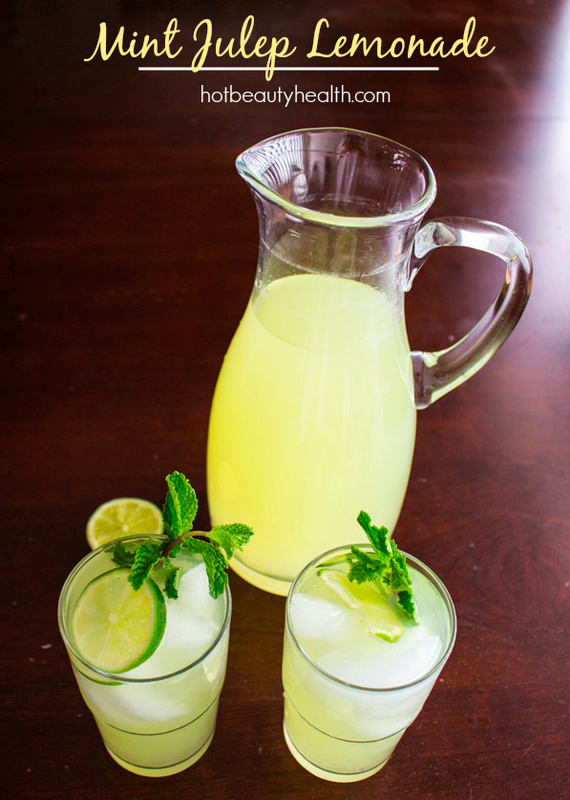 Garnish each cup with a mint sprig and lime slices. 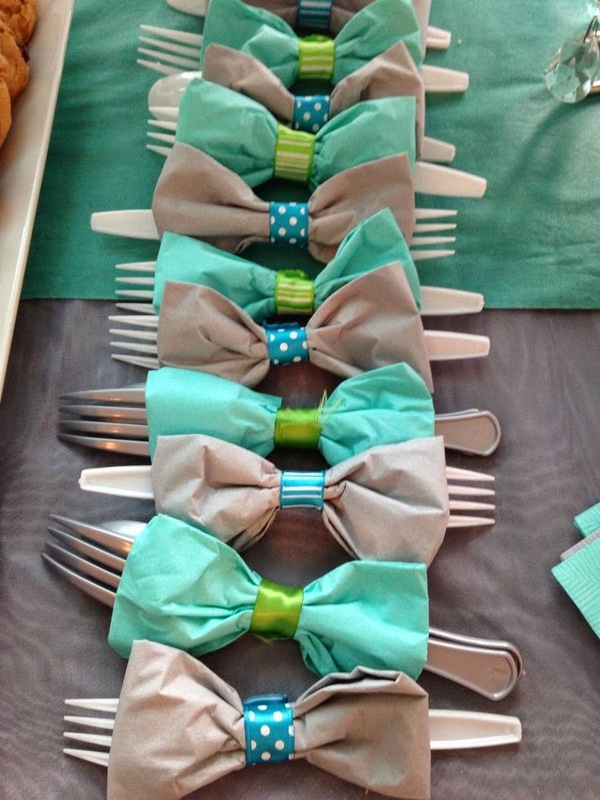 What's a party without some cute and clever decorations? Check out these silverware holders and drink straws! No Derby party is complete without betting on some ponies. 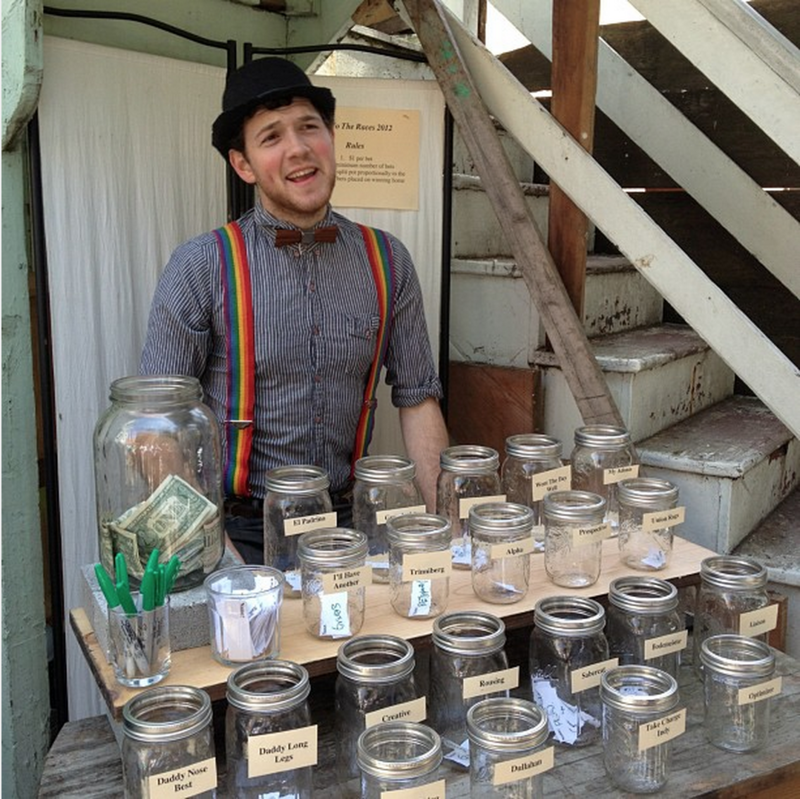 Instead of making tickets for people to bet with, create a jar for each one and have people put their name in. Whichever horse wins, the money is split between the names in the winning jar! Or if you go to this website, you can place real bets at home! Now go get to planning! You've got a party to throw! We hope everything has a fun and exciting Derby...we know we will!